BETWEEN CLIME AND HALL ROADS. JUST NORTH OF THE GEORGESVILLE RD EXIT OFFI-270 BEIGE SINGLE STORY BUILDING ON THE EAST SIDE OF THE STREET NEXT TOA USED CAR LOT. The Columbus Social Security office is located in Columbus 43228. The following page includes information for this location like the office phone number, hours of operation and driving directions. If you have any interests or comments about your retirement benefits or are interested in making an appointment, call the following Columbus Social Security office. The Columbus Social Security office is located in Columbus 43228. The following page has information for this location like the office phone number, hours of operation and driving directions. 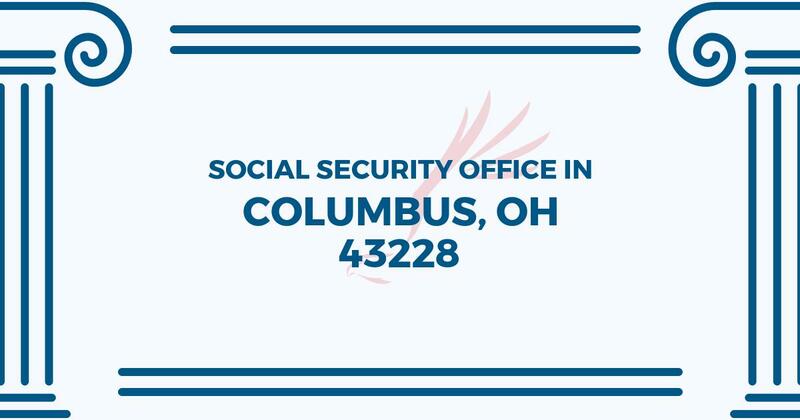 If you have any interests or concerns about your Medicare benefits or are interested in arranging an appointment, call the following Columbus Social Security office.